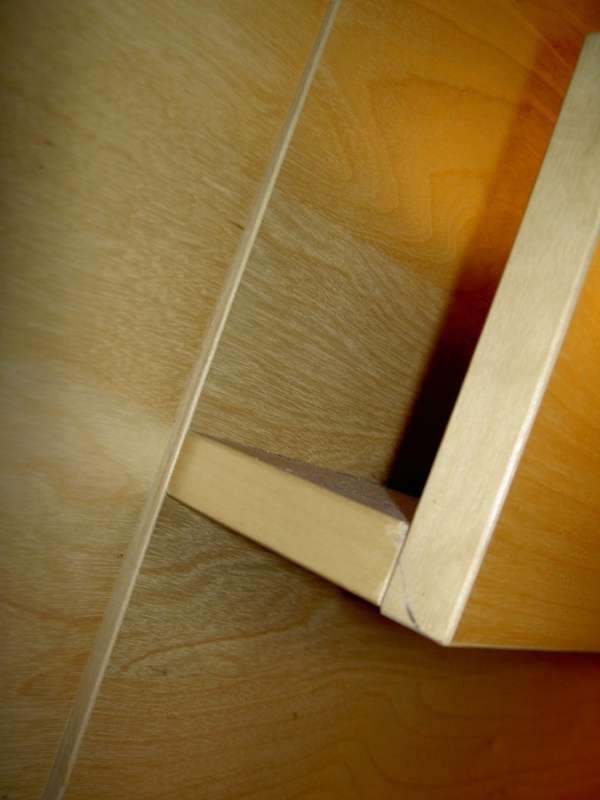 Edging tape is designed for pasting the ends of furniture made of particle Board. It increases their strength, protecting from moisture and preventing evaporation of the impregnation. It can be applied to the restoration of such furniture. To cope with this material is capable of even a novice carpenter. It is often made of decorative paper, which is impregnated with special resins. Select edge bandings. It is of various widths. Pick one that matches not only in color but also in thickness of the part. Usually its width is from 1.8 to 4.5 cm Strip may be slightly wider than the surface you intend to cover, but not much. Clean the edge of the plywood. Remove the dust from it. Start with the end which will be less noticeable. It is necessary to hide the joints of tapes. The pasted over surface should not have significant irregularities. Of course, the tape of them will be cut out, but large bumps and notches better to remove. Carefully inspect the ribbon. It should not be joints, which are formed by connecting the individual strips in the roll. Usually these joints are invisible. However, they can greatly damage the appearance of the product, if you are going on the tape, to apply any coating. Measure the length and width of the pasted over surface. Take the tape around 0.3 cm wider end and approximately 2.5 mm long. It is easier to do with a ballpoint pen on the iron range. Trim the ribbon is also better on the line with a sharp knife, like a Shoe. The blade must be sharpened. However, it is possible and to cut with scissors. Regulator of iron supply on the division of the "cotton" and allow it to heat up. First, glue the rounded corners. Determine the midline of the face, it can even draw throughout. Find the center edge and apply it to the end of the part, aligning the middle lines. Slowly iron the first one half of the tape, and then another. Need to press hard enough to make the adhesive layer is melted, and the tape lay on the rounded corner smoothly and without wrinkles. Pay special attention to the edges. If they press enough, the tape will break away from the details. While the glue is hot, apply the coating using a round screwdriver or other similar tool. Allow the glue to cool for ten minutes. Then re-heat the iron and smooth the tape to the edges of the upper and lower surfaces of the part. The iron thus it is better to put at an angle to the line of coupling was more subtle. Press the iron hard, but not dramatically. After the glue has cooled down again, remove the excess tape. For cutting the edging strip at a right angle there are special tools but you can do enough with a sharp knife. Before you cut the extra edge pieces, don't forget to look at the direction of the fibers of the workpiece. If they are aimed down, a better cut from right to left, and if up — on the contrary. Abrade the surface of the plywood along the edges of the edging strip. Remove all irregularities. Hold the sponge directly against the corners of the part. Instead of a sponge you can use a piece of sandpaper with Velcro attached to the bar.